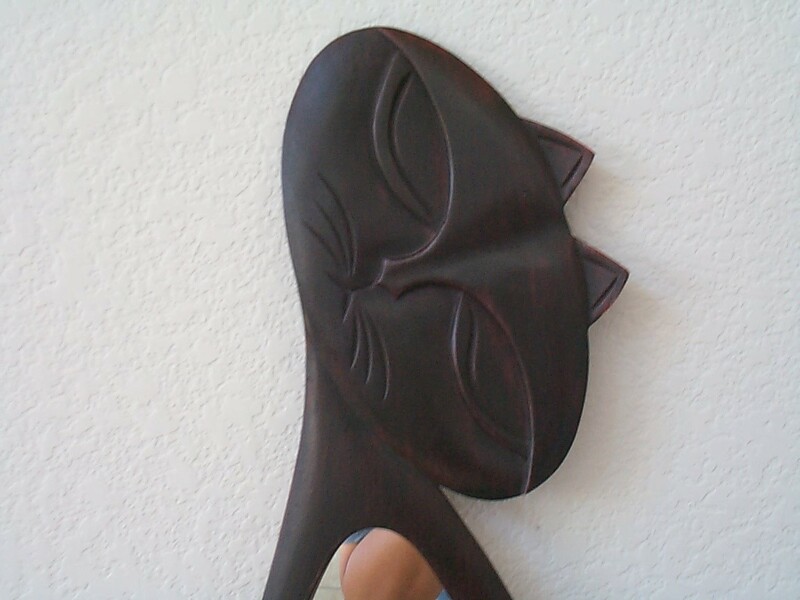 Hand carved Sit Up Cat Mirror comes with hook ready to hang. 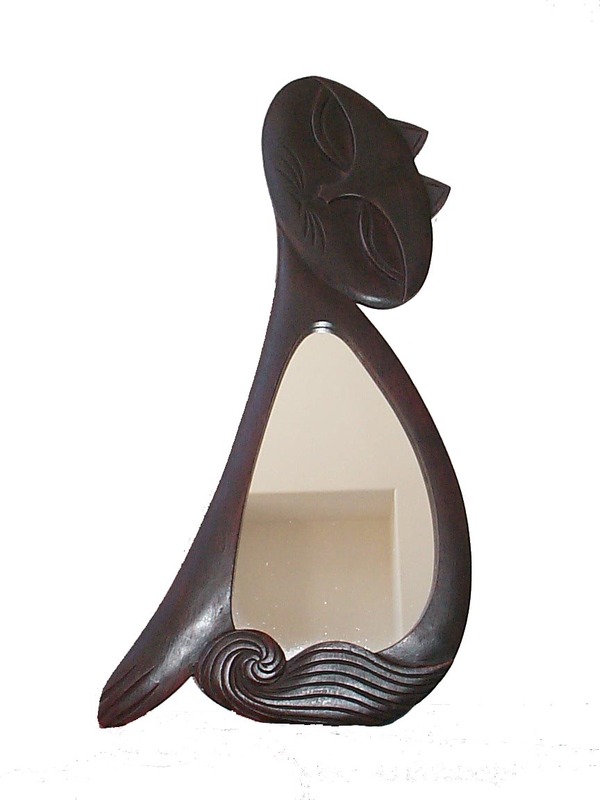 Beautifully hand carved with details from non-endangered acacia wood. Measures approximately 10" wide and 24" tall.